New York – Tuesday, March 14, 2017 – For the first time ever, BBC Home Entertainment is making a 4K Ultra HD Blu-ray natural history television series available to fans of BBC AMERCA’s landmark series, PLANET EARTH II. Experience the beauty, wonder, and extraordinary magic of animal behaviors – so elusive that they were considered almost impossible to capture. This special collector’s item, narrated by the legendary Sir David Attenborough, will be available on 4K UHD, Blu-ray, and DVD on March 28, 2017 in the U.S. and Canada. Bonus content includes Planet Earth Diaries, a look behind the scenes with each episode’s production team, revealing the astounding challenges they encountered and their incredible experiences while filming PLANET EARTH II. For DVD and Blu-ray, these are 10-minute bonus clips at the end of each episode and for the 4K UHD, it will be a 54 minute disc accompanying the series. 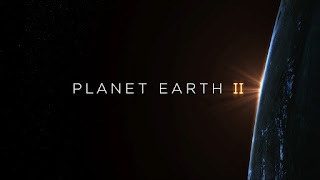 The highest-rated U.S. nature show among adults 25-54 in five years and the most watched unscripted telecast ever in total viewers on BBC AMERICA, PLANET EARTH II showcases 4K resolution with High Dynamic Range (HDR) and a wider color spectrum, offering brighter, deeper, and more lifelike colors, plus 5.1 DTS-HD master audio for a home viewing experience like never before. A decade after the groundbreaking, Emmy Award®-winning natural history series PLANET EARTH Blu-ray was released - which is still the number one selling non-theatrical home video release to date with over five million copies sold worldwide - PLANET EARTH II goes further, gets closer, and captures behavior and places that would have been impossible 10 years ago. Over three years in the making, filmed in 40 different countries on 117 filming trips and a total of 2,089 shooting days,PLANET EARTH II delivers a whole new view of our planet. “This DVD is the one to get…I thought PLANET EARTH II looked pretty amazing on my HD TV but on this 4K Ultra HD our series looks so good its almost otherworldly! And for us to be the first out of the blocks with a 4K DVD is really icing on the cake!” said series Executive Producer, Mike Gunton. Captured in stunning 4K Ultra HD detail, PLANET EARTH II is an immersive exploration of the islands, mountains, jungles, grasslands, deserts, and cities of the world. Journey to the four corners of the globe to discover the extreme forces that shape life in each of these iconic landscapes, and the remarkable ways animals manage to overcome the challenges of surviving in the wildest places on Earth. From eye-to-eye encounters with incredible creatures, to epic journeys through breathtaking wildernesses, experience the wonder of the natural world as never before. 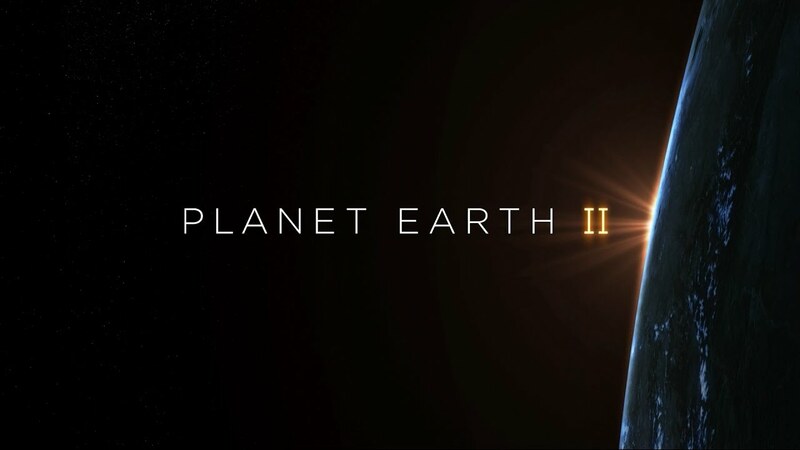 PLANET EARTH II premiered Saturday, February 18, 2017 simultaneously on BBC AMERICA in the U.S. and on BBC Earth in Canada. PLANET EARTH II is a BBC Studios Natural History Unit production, co-produced with BBC AMERICA, ZDF, Tencent and France Télévisions. · Marine iguanas and racer snakes - For the first time, the PLANET EARTH II team filmed marine iguanas and their frantic dash for safety across their hatching beaches while being pursued by huge numbers of racer snakes. · Birds of paradise - The bright and beautiful colors of birds of paradise in West Papua have been filmed before, but recently scientists realized that they had been looking at the displays in the wrong way. For the first time the crew filmed the display of the tiny Wilson’s bird of paradise, not from the ground but looking down on him from above, up in a tree – the same way a female would see him. · Araguaia dolphin - This new species of dolphin was discovered in the Amazon River in 2014, over 930 miles from the ocean and found nowhere else on Earth; almost nothing is known about them. The production team tracked them through the flooded forest to get the first glimpse of these dolphins in the wild. Using stabilized cameras mounted on boats and drones, the crew filmed them from both the water and the air. · Bat hunting scorpions on the ground - Dubbed “the hardest bat in the world,” the desert long-eared bat takes on the death stalker scorpion, one of the most poisonous scorpions on Earth. Thanks to some immunity to their stings, the long-eared bat comes out on top. Collaborating with scientists in Bristol and Israel, this is the first time this behavior has been filmed. · Glowing fungi - These are the brightest fungi in the world, and while previously a mystery, scientists have now discovered the fungi may glow in order to trick beetles that use bioluminescence to attract mates. For the first time, new low-light cameras allowed the team to film the amorous beetles attracted to the glowing mushrooms. · Snow leopards - The crew embarked on three trips in successive years to film snow leopards in Ladakh. In total the crew was on location for 16 weeks, and the camera traps were in the field for 15 months deployed along trails and scenting rocks used by the leopards. In PLANET EARTH II they’re shown brushing right up against the camera! This is the first time four snow leopards have been filmed at one time as they mate, hunt, and fight, making it the most complete film of snow leopard behavior. · Zavodovski penguin commute - In what was probably the most intrepid shoot of the entire series, the “Islands” team set off on a seven-day journey by sailboat across the planet’s roughest ocean to get to the remote island of Zavodovski in the middle of the Antarctic sea. Very few people have ever visited this island and no one has ever managed to capture the amazing endeavor of the chinstrap penguins. Every day they have to face fierce stormy seas that batter them against the rocky cliffs as they try to get on and off the island to go out on their vital daily fishing trips. · Bee-eaters catching insects flushed out by elephants - Carmine bee-eaters in Botswana follow elephants and other large animals that walk through the grass hoping to catch any flying insects they stir up into the air as they push through the vegetation. The team noticed that the birds were following their vehicle as it stirred insects, similar to how they would with elephants. So they sat a cameraman on the front corner of the jeep, strapped on a harness that supported a stabilized camera rig and filmed incredible shots tracking with the birds as they hunted in the air. · Bobcats hunting in the Rockies in winter - Cameraman John Shier spent five weeks in the freezing conditions in the Rockies during winter, waiting to capture elusive bobcat hunting behavior. This is the first time ever these cats have been filmed hunting ducks and squirrels. · Railroad worms hunting millipedes - Railroad worms are actually bioluminescent beetles that use two different lights on their bodies – greenish yellow ones to deter predators and a red glowing head to use as a “night vision” hunting light. · Catfish hunting pigeons - This is a relatively recently described behavior where, much like killer whales hunting seals by rushing up onto beaches, these catfish wait in ambush at the edge of a river for pigeons to come and bathe. When the birds gather at the water’s edge, the fish thrust themselves at the pigeons, grab them in their mouths, and then drag them underwater. · Goshawks predating on sand grouse - The “Deserts” team set off to the South African desert to film sand grouse visiting water holes to collect water for their young. But what they stumbled across was far more dramatic: a pair of resident goshawks that had learned to wait around the waterholes and grab the grouse as they land. The goshawks know that, even though the grouse are aware that these predators are there, they can’t afford not to drink in the extreme desert heat. Never filmed before, this a compelling story of the grouse risking death to bring back water to quench their chick’s thirst. · Lions hunting giraffe - The PLANET EARTH II team joined forces with camera operator Lianne Steenkamp, who has been following the same pride of desert lions in Namibia for the past few years. Combining specially shot material with some incredible footage captured over the years allowed the crew to showcase the most dramatic giraffe and lion hunt ever filmed in the “Deserts” episode. · Locusts - For one month the team headed out to the arid regions of Madagascar to try to find and film a locust swarm. After some initial success the crew’s luck completely ran out. Up until the last few days it looked like they would come back empty handed, but finally the team caught up with a swarm of biblical proportions. New technology such as MoVi’s and drones allowed the crew to get right into the heart of the swarm, as well as film it from the air. · Leopards hunting pigs in Mumbai - Mumbai has the highest concentration of leopards in the world. This is the most complete sequence of urban leopard behavior to date, and the first time anyone has filmed a successful hunt. The team used a military grade thermal camera to spy on the leopards. · Hyperlapse - Within the “Cities” episode the crew used hyperlapse technique to immerse the audience in the urban environment. Rob Whitworth is the most accomplished hyperlapse cameraman of our day. He collaborated with the “Cities” team to create jaw-dropping seamless journeys through some of the most iconic cities of the world. · Peregrines hunting in New York - New York City has the highest concentration of nesting peregrines in the world. This is the first time that the wild behavior of these urban birds has been filmed, capturing aerials of the fastest bird in the world dropping from a height at speeds of up to 200 mph.